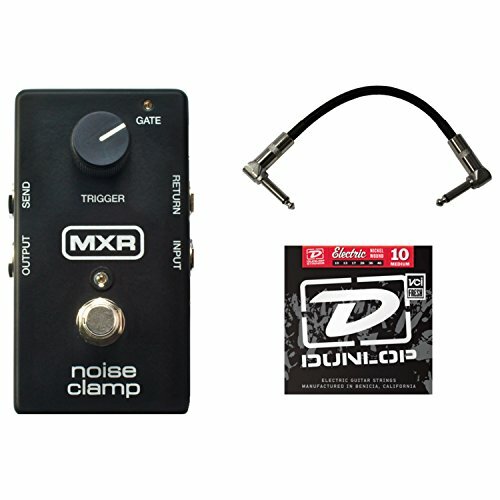 Crank your stomp pedals to the extremes without the fear of any hiss or excess noise with the MXR Noise Clamp. By sensing your guitar's dry signal, The Noise Clamp reduces the noise level within the effect loop, coming down hard on even the noisiest signals. A single Trigger knob allows you to set the volume threshold at which the pedal is active, and a green LED shows whether the gate is on/off. This bad boy is capable of reducing Noise up to 26dB, maintaining riff definition at extreme gain levels. A single Trigger knob sets the volume threshold. Capable of reducing noise up to 26 dB. Eliminates hiss and excess noise from your effects chain. Maintains riff definition at extreme gain levels. View More In Noise Gates. If you have any questions about this product by MXR, contact us by completing and submitting the form below. If you are looking for a specif part number, please include it with your message.